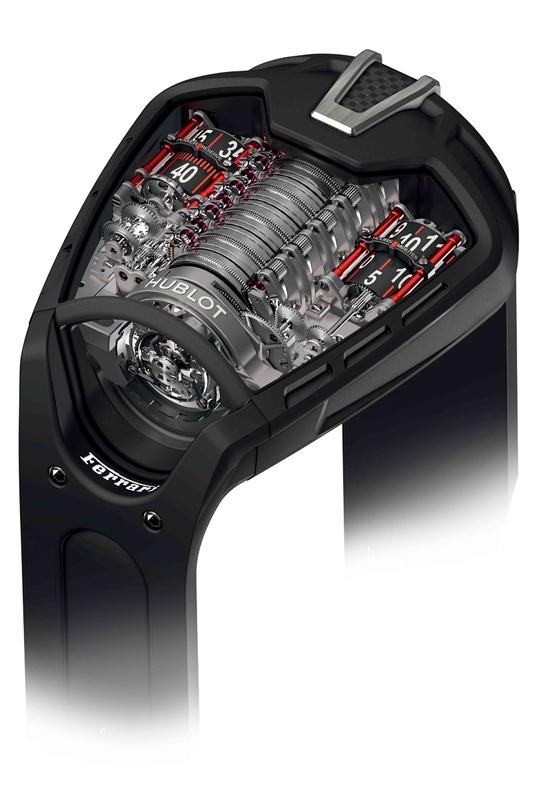 The Hublot MP-05 LaFerrari is assembled from 637 pieces and it has an insane power reserve of 50 days. Consider the following scenario. You love watches. You’re obsessed. But your budget will not allow another decent timepiece right now. Perhaps you bought so many pieces over the last year that you just cannot buy another. Or perhaps you have other financial obligations that simply won’t allow any new wrist candy. So what do you do? The answer is simple – borrow! Leverage! Use credit! No, I am serious. OK, Ok… let’s assume that leverage is not the answer. What do you do? If you already have a collection of mechanical timepieces that includes a couple of automatics, then start shopping for a watch winder. After reading this post, you will realize that a winder is the best watch accessory and it can actually help you USE your current watches more. Wolf winders can be found for 100 bucks and an Orbita starts around 400 bucks… way less than a new Oris and it’s something that will complement a nice collection. The next accessory to shop for? A case for your timepieces! I ordered one from Turtle Creations for 50 bucks and it’s fantastic — it has a plexiglass cover which allows you to admire your timepieces while keeping them dust-free. There are so many types and variations of cases- travel cases, see-through covers, locking, vintage, modern… you can easily spend a weekend shopping online for the perfect case. Once again, this is an accessory that allows you to enjoy your existing timepiece collection. The next accessory is certainly MOST relevant for Panerai owners — straps! I have gone a bit nuts here. I recently ordered 3 custom straps for my PAM from a well-known strap guy in the U.S. I may write a review on those straps later on. But it’s all-consuming. A new strap, especially for a PAM, is almost like getting a new piece. I spent hours choosing the right leather, the right stitching, the right buckle choice… it’s nuts. When I receive my order, I will have 6 different straps for my PAM and I can easily change them back and forth myself (a great feature of Panerai Luminor). Different straps give different looks and this allows maximum enjoyment from a timepiece. So if you cannot allow yourself to acquire a new piece, you might just need a new strap from an existing piece- especially if you can change the strap yourself. You can buy strap-changing tools, although I still feel that strap changes involving spring bars are risky to do yourself. I have ruined a couple of straps and scratched a case while attempting such feats. OK so now you have all the right accessories. What next? Read! And start with WatchPaper! My daily routine includes AT LEAST a glance at WatchPaper headlines, as well as a few other watch-related publications. I also like to monitor a certain forum where people sell and trade pre-owned timepieces and nearly-new timepieces. Reading about watches is just like reading about cars. It’s fun to learn about new designs, technologies, etc. even if you are not currently in the market. I don’t know many 17-year-old kids who can afford a 2014 Porsche 911 Carrera S, but many of them can tell you everything about a 2014 Porsche 911 Carrera S because they read all about it. And they did so because they have a passion for automotive marvels. I feel the same way about timepieces. I don’t see myself acquiring a Girard-Perregaux Constant Escapement any time soon, but I just loved reading about this mind-blowing technology. It’s the same for Urwerk. In fact, check out some of this stuff on YouTub e- there are some awesome videos, promotional videos, interviews, etc. I recently subscribed to WatchTime magazine. I love reading this magazine and I often learn a lot. The subscription gives me all kinds of online content, including the ability to download any previous issue of the magazine, which I have done to read tests of my favorite watches. I also collect the Wristwatch Annual, which has tons of data, information, specs and prices. So you see, without actually buying a new watch, you can stay connected to the world of timepieces by reading and following the industry. Twitter is great for this, too. Just follow your favorite brands and magazines and enjoy seeing what they’re up to. I know – none of this can ever satisfy the insatiable desire to acquire that next timepiece. But if any of my suggestions can carry you through until that next exciting purchase, then I have accomplished my goal. Happy shopping and happy reading.